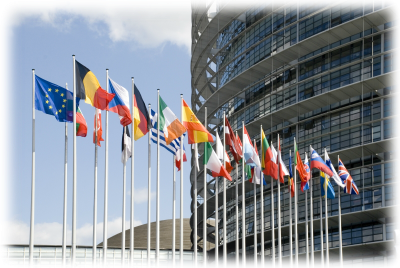 Each year billions of Euro remain unclaimed by the countries in the European Union. 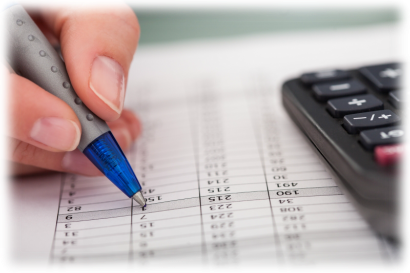 Most often it is because taxpayers do not know, do not understand, or can not deal with by themselves and benefit from their rights. 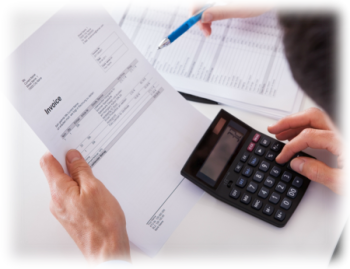 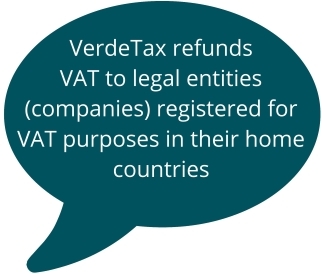 VerdeTax will help you understand how simple and easy it is to save money and manage your resources, by applying for a VAT refund. 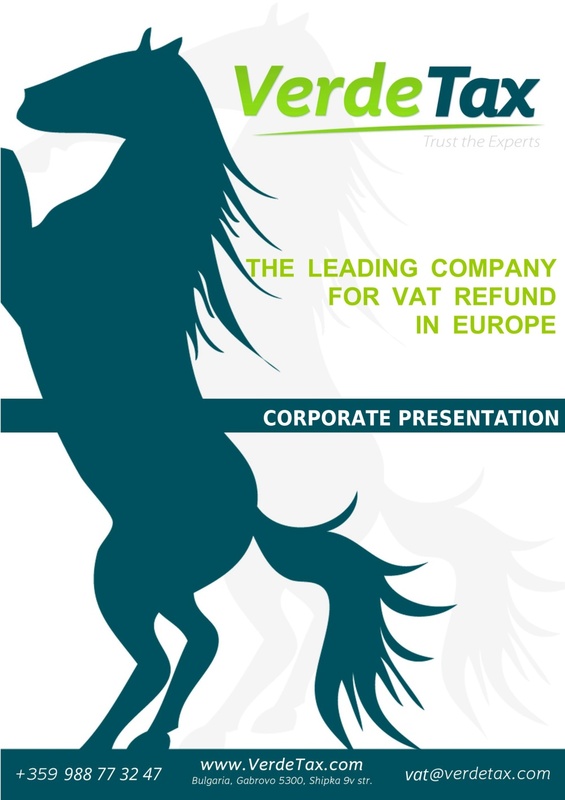 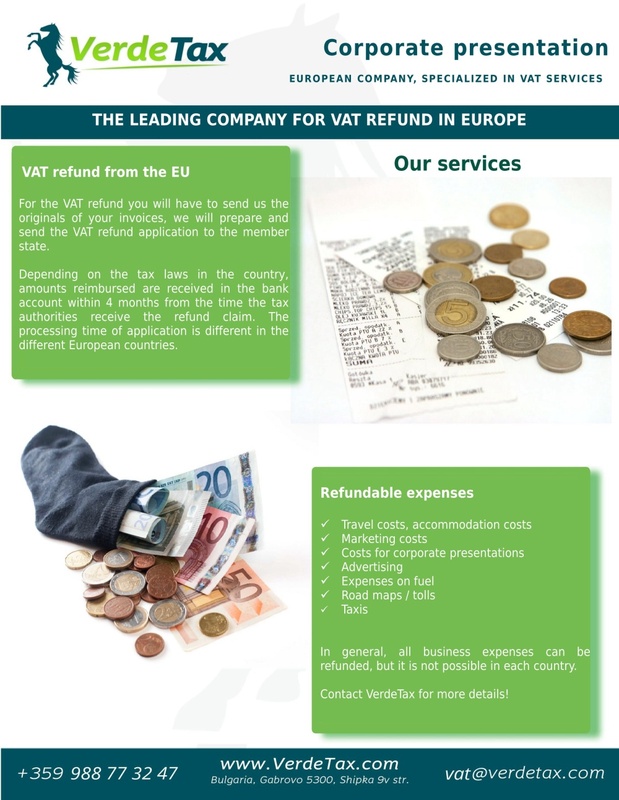 We are confident that we will provide the best VAT refund services, because of the excellent combination of knowledge, use of new IT technologies and very well trained and qualified professionals who will be available at any time. 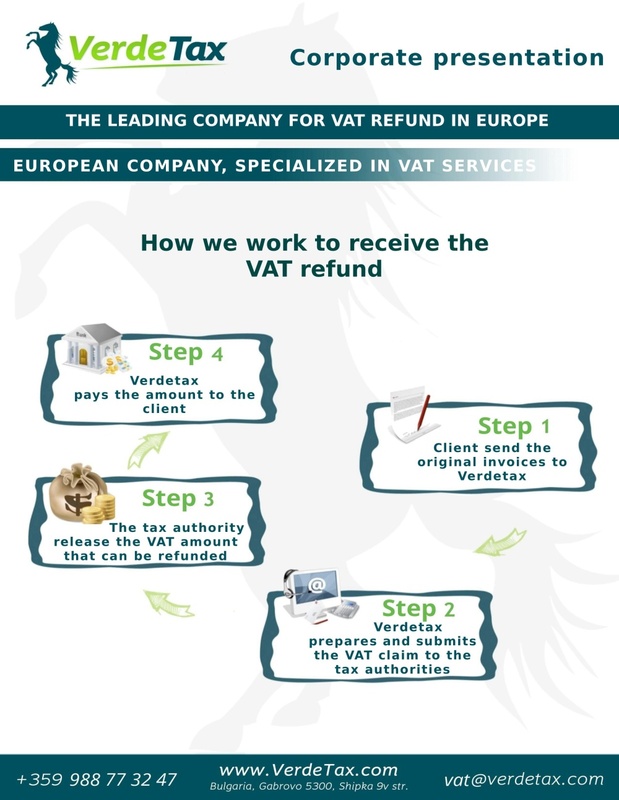 For the VAT refund, you have to send us the originals of your invoices, we will prepare and send the VAT refund application to the member state. 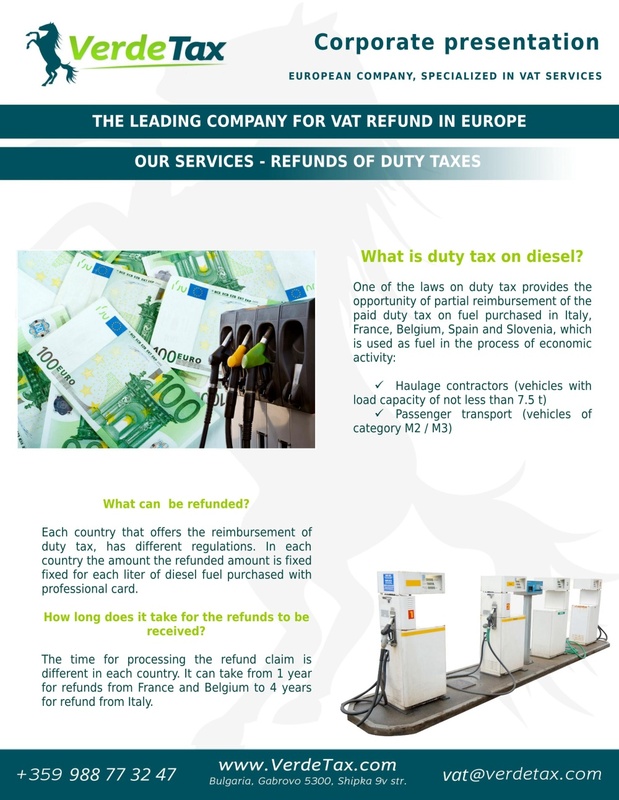 Depending on the tax laws in the country, amounts reimbursed are received in the bank account within 4 months from the time the tax authorities receive the refund claim. 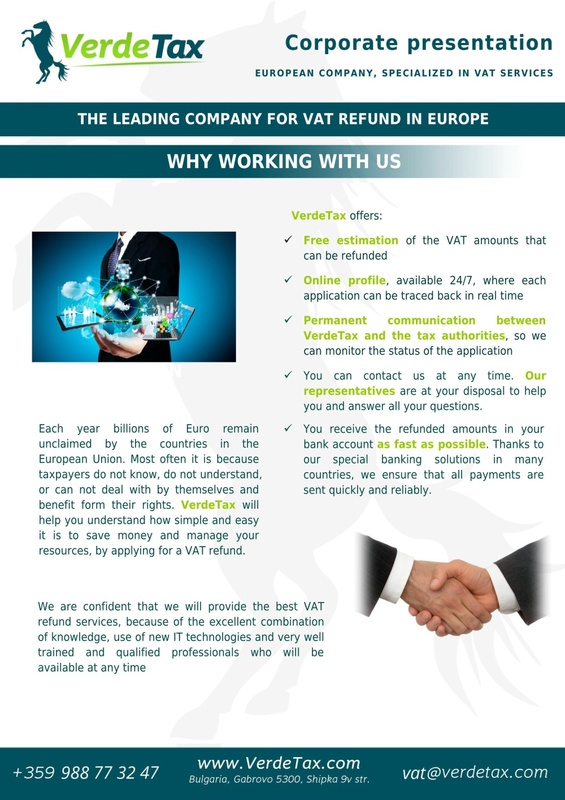 The processing time of applications is different in the different European countries. 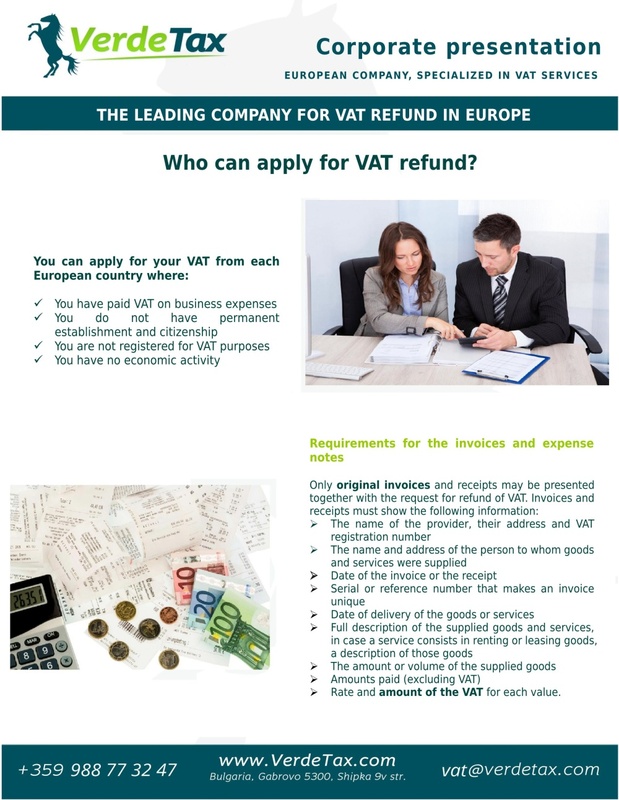 In general, all business expenses can be refunded, but it is not possible in every one of the countries. 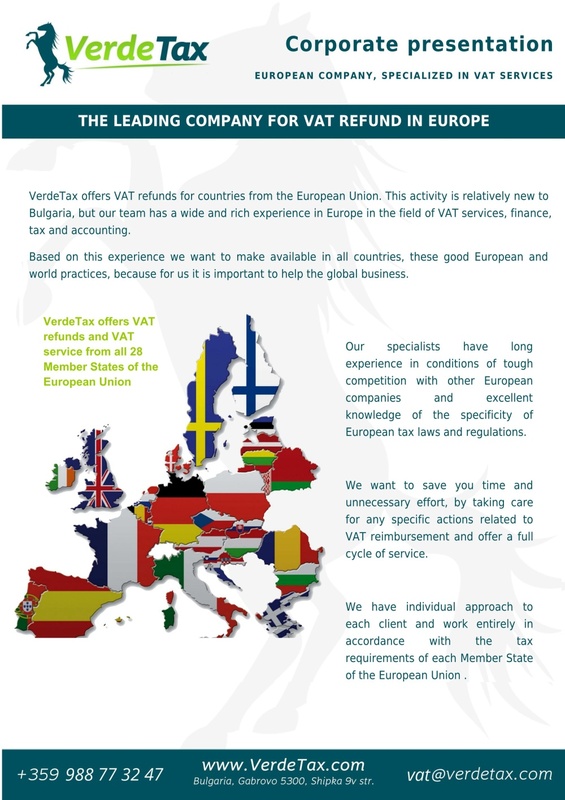 Contact VerdeTax for more details! 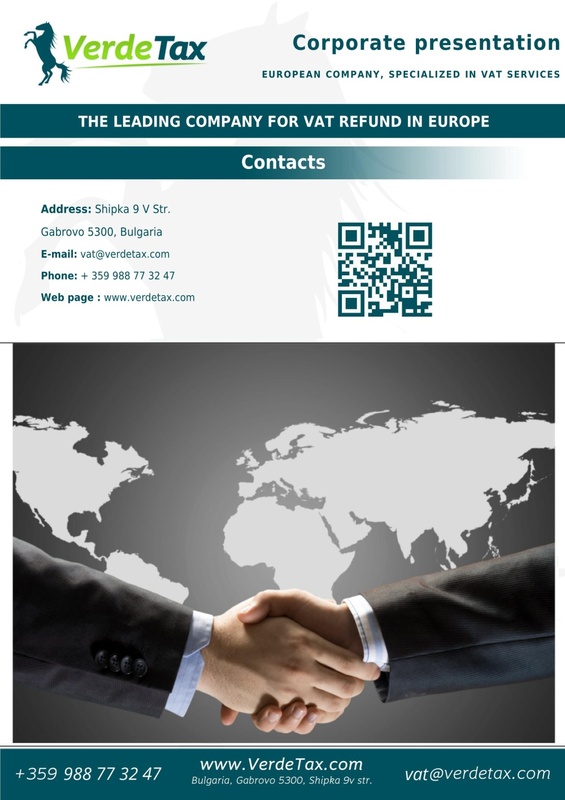 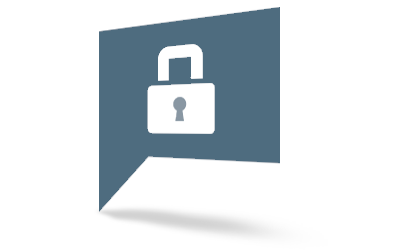 Application for an electronic signature, authorization, cooperation agreement - all these documents will be provided for completion by VerdeTax!